The VOA Radiogram signal was quite weak here and I couldn’t hear Kim Andrew Elliott’s voice introduction. There were many text decode errors, but the images still decoded. The move to 17870 kHz was made to avoid interference from Radio Exterior de España on 17855 kHz. It appeared to be successful because I didn’t hear any interference on the new frequency. On the other hand, I couldn’t hear Radio Exterior de España on 17855 kHz either! The signal was strong, but there was quite a bit of noise. The text decoded with no errors and the images decoded well despite the noise. The second image is the e-Radiator, a product from a Dutch company to heat homes using server electricity. 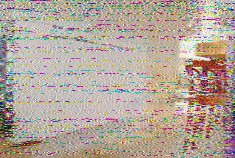 I decoded the 1930 UTC Sunday broadcast (3:30 PM EDT Sunday) on 15670 kHz. The signal was pretty weak, although not as weak as the 17870 kHz broadcast. 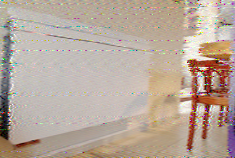 The text decoded with no errors but the images did decode with quite a bit of noise.